A meet & greet will be held at 16 Bit Bar + Arcade at 7 PM. Friday’s event will be FREE to all, but we will need you to RSVP two weeks prior to the event. A picnic at Lunken Airport Park at 3 PM. 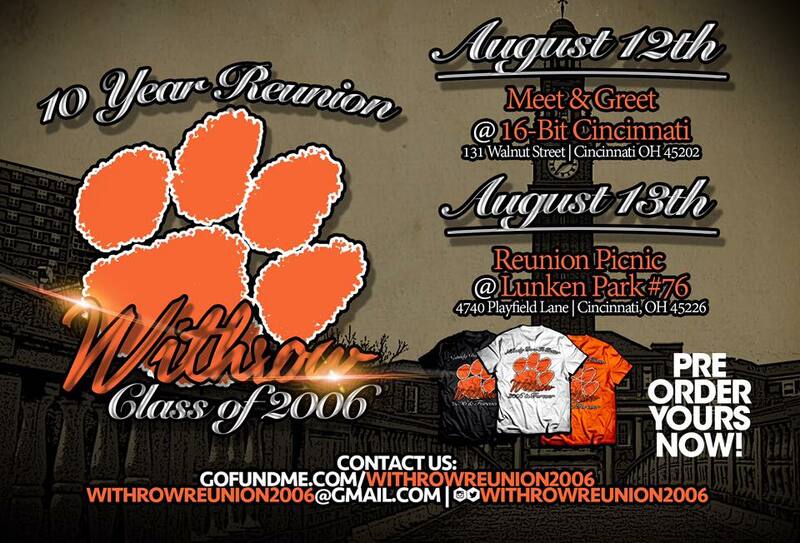 To host the reunion at Lunken Airport Park, we need to collect $5oo to cover the cost of renting the park, dinner, DJ, T-shirts and caterer. This means we need a minimum of 20 people making reservations.